View our Men's or Ladies collections and use the "Frame Size" sliders in the left hand navigation bar. The diagram below illustrates the fundamental elements and component parts which make up the spectacle frame. In terms of the fitting of the spectacle frame, the bridge is perhaps the most important part to consider when choosing your frames, because it is here that the major bearing surface and area of contact between the front and the face is situated. The bridge design should facilitate a comfortable and supportive fit which will maintain the position of the lenses over your eyes with a natural gaze. The arm length is measured from the dowel point to the extreme end of the side, this is made up of the length to the bend and the length of the drop to give the overall length of side. 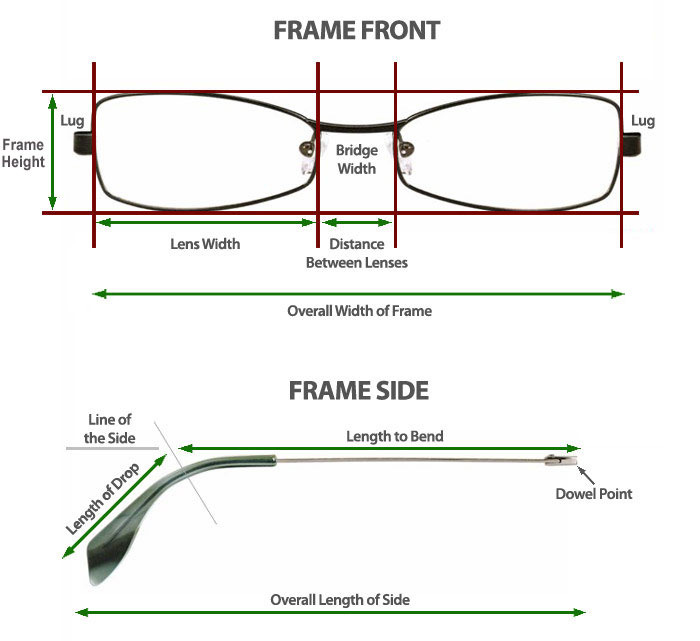 Another measurement to consider would be the overall width of the frames, the diagram above illustrates this, it is important to note, aside from two times the lens width plus the bridge width the overall width is also dictated by factors such as the thickness of the rims of the frames and how swept out the lugs are from the frame. 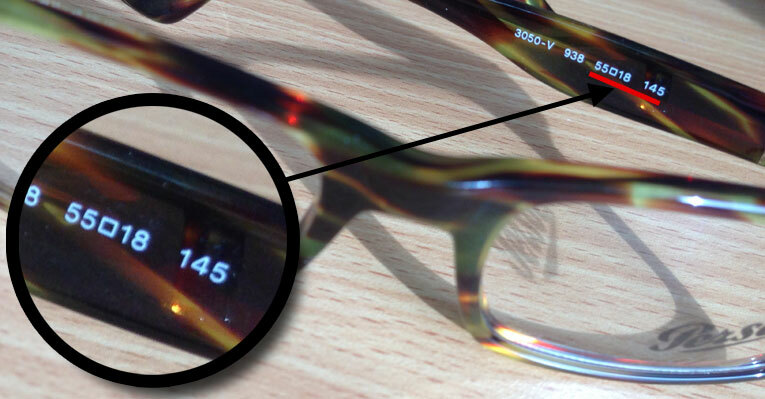 Our measurements give an approximate indication to the overall width taking into consideration the lenses and bridge not the lugs of the frame, this measurement is approximate and will vary according to the type and design of the frames. The Perfect Frame for you!